House music is a genre of electronic music created by club DJs and music producers in Chicago in the early 1980s. Early house music was generally characterized by repetitive 4/4 beats, rhythms mainly provided by drum machines, off-beat hi-hat cymbals, and synthesized basslines. 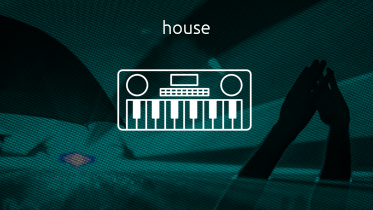 While house displayed several characteristics similar to disco music, it was more electronic and minimalistic, and the repetitive rhythm of house was more important than the song itself.